• Choose the right cut of meat for your recipe. Consider how you are cooking the meat and what you want your result to be. Traditional barbecue uses tough cuts and cooks them slowly until they become soft and tender. On the other hand, a barbecue brisket is chewy and tough because it is cooked quickly over a full blast of heat. That same meat can become delicious and smooth if you smoke it slowly over low heat for hours. Other cuts of meat will become tough if grilled too slowly. For example, Porterhouse and T-bone are best cooked over high, direct heat for a short time. • Consider the density or toughness of the meat and its fat content. Density can be hard to ascertain, so usually the cut indicates the density or toughness. 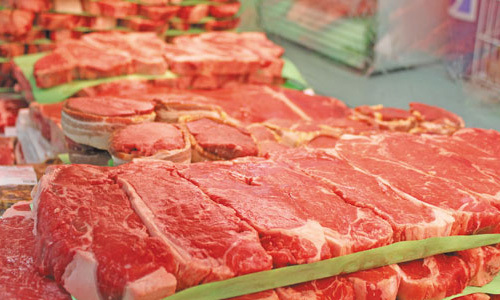 Meat from different areas of an animal tends to be more or less tender. Marbling - small streaks of fat running through the cut - can sometimes tell you about the fat content. Many people think marbling gives meat its best flavor. However, the quality of the marbling is important. Big veins of fat don’t cook very easily, so thick and consistent cuts of marbled meat would need to be slow cooked to release the flavor. Small, thin ribbons of fat are usually excellent for a traditional steak cooked over high heat. • Examine the meat color and ask whether carbon monoxide is used to keep it looking red. Meat browns quickly when exposed to air. If you find bright-red meat without additives used to preserve that vivid color then it is a fresh cut! The team at Butcher Block will help make choosing the best cuts for your meals easy!